6:00 pm - Cocktail hour with margarita pizza, pepper sheared tuna, bruschetta, assorted cheeses and fruit. 3 hours of open bar - includes top shelf. 7:00 pm - Rib eye steak (choice of chicken or fish available for those that do not eat steak. We need to know in advance if you want either chicken or fish), corn on the cob, salt potatoes, sald, garlic bread. 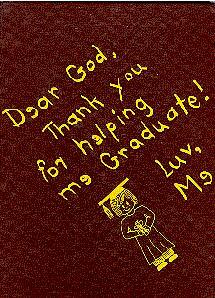 RSVP with your check and information by May 1, 2014. Make check payable to IHS Class of 1974. The Central Valley Central School District, with regret, accepted the retirement notice of Robert McCann from the position of Physical Education Teacher, effective July 2013. 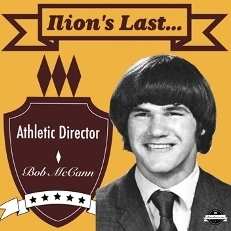 Thus, ends the era of Ilion's last Athletic Director, long time Ilion resident, IHS graduate, IHS teacher and coach, Bob McCann. Read the complete tribute to Coach, Bob McCann. In memory of David P. Whalen, Ilion Class of 1974, plans are currently underway for a golf outing to benefit The David P. Whalen Community Park. Ilion Alumni All-Classes/Sesquicentennial Mega-Reunion - Columbus Day Weekend - 2002!! Click here for all the information regarding this once in a lifetime event. This event replaced a 30 Year Reunion for our class! The full list of attendees registered for the reunion was posted. July 1997, marks the two year anniversary of the death of our classmate Randy Steele. Randy's mother, Carol Steele, has kindly shared a mother's, loving tribute to her beloved son and our late classmate.... Randy, God Bless You. We'll miss you always.